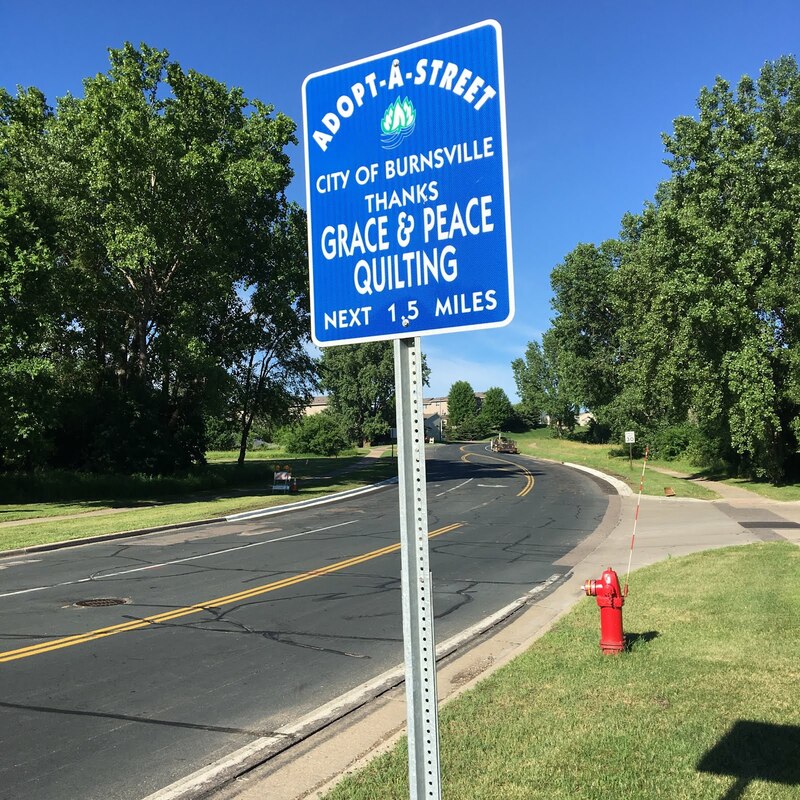 There's a new sign up in town: "Adopt-A-Street" by "Grace and Peace Quilting"! 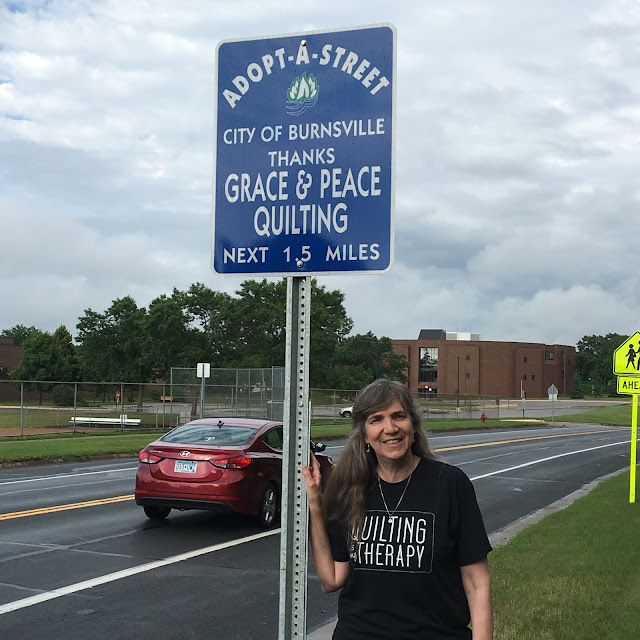 If you're in Burnsville, Minnesota, it's on 134th Street, between County Road 11 and Nicollet Avenue. Our next door neighbor had this section for a number of years. When she moved, I thought it would be nice to step in after her. This is near the corner of 134th and County Road 11. There's a SuperAmerica gas station directly to the right. And this is near the corner of 134th Street and Nicollet Avenue. Nicollet Junior High and Sky Oaks Elementary School are near this corner. DH and I walk most days already, so we're bringing bags and picking up as we walk now. 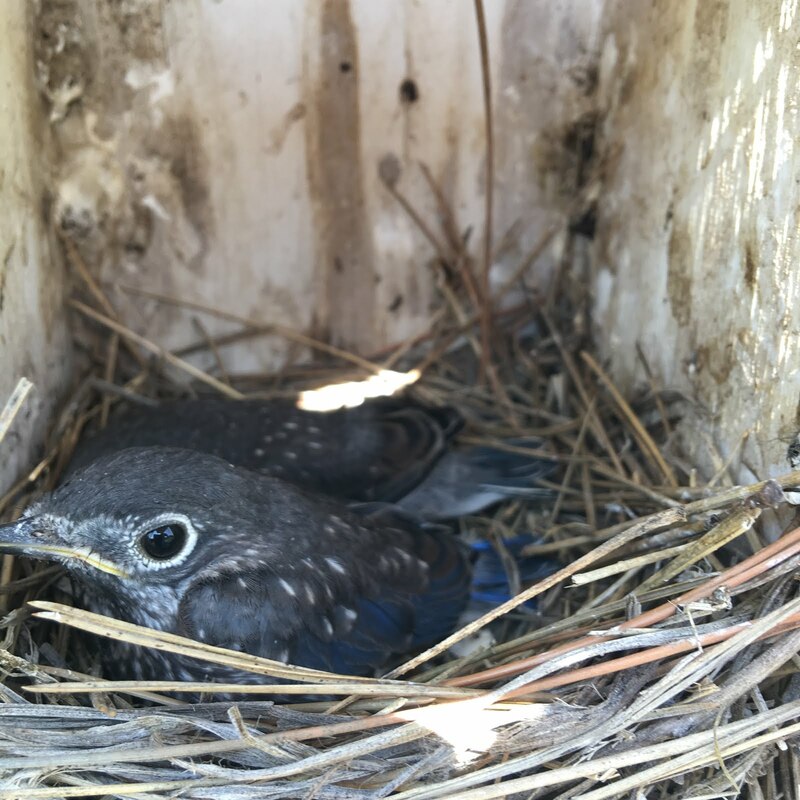 And here are 2 of the 4 baby bluebirds in my Dad's bluebird house this year. It made him very happy to have bluebirds nesting again this year. Pretty cool! And advertising to boot! Thanks for keeping our city clean! Love the beautiful blue on the baby birds. Great idea, Nancy! A great way to advertise and keep the area clean as well. That's one way to get your name out there!! Best of all, you are helping your community at the same time. This is awesome! What a great thing to do. Good for you! Always great to keep our surrounding tidy! We don't have an adopt a street program in our little city currently, but I am one who recycles, so I pick up as I walk also.